KJVIFB.com Blog Directory: Welcome - JOIN NOW! 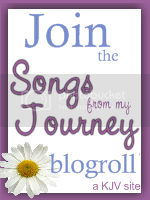 This DIRECTORY (blog roll) is a place to post your IFB KJV blog, or even posts from your blog. Blogs on any topic (sermons, study, devotions, book reviews, cooking, homeschooling, parenting, saving money, crafts, etc.) are welcome, if they are written by an IFB and only reference the KJV. To become a contributing author, CLICK HERE I will add you as a contributor of articles of interest to other Independent Fundamental Baptists. If you do not want to post here, and only want to add your blog link to the directory and blog roll, that's great, too. Add the button and email me at kjvroberts@gmail.com with your blog url and title. 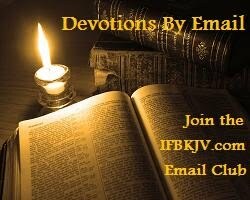 Please link back to IFB KJV Directory using one of the three images below. Have a blessed day! PLEASE NOTE! IFB KJV reserves the right to make formatting changes to author's posts, especially when tiny or giant fonts are used or other formatting errors occur. Content will not be altered. Only posts using the KJV will be permitted. A "Read More" jump break will be inserted in extremely long posts (longer than one screen page). See how to add these yourself HERE. "...freely ye have received, freely give." More Monkeys… - They came to say goodbye to us. They knew I had been looking for them the whole trip! IFBKJV.com accepts articles on any topic from the blogroll members. To submit a single article or become a recurring guest author, click here. Bible Refer. Hyperlinks VerseClick NEW! © JTRoberts. Awesome Inc. theme. Powered by Blogger.